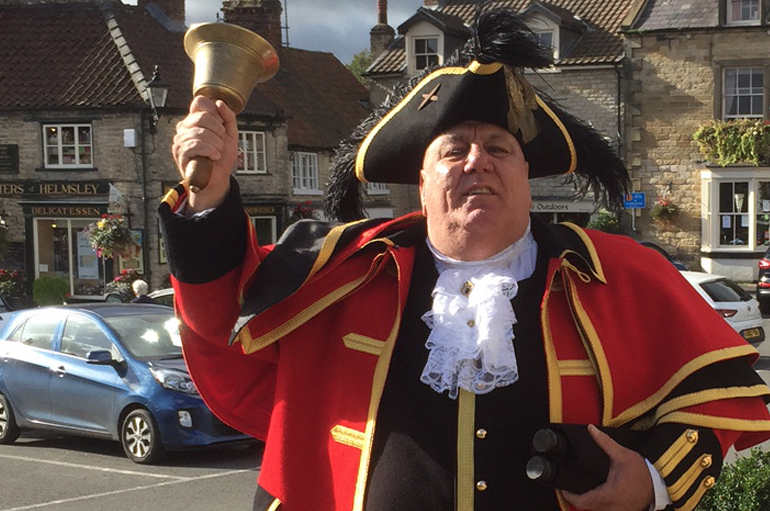 Helmsley is lucky enough to have its very own town crier – and of course, for an award-winning town, only an award-winning town crier will do! 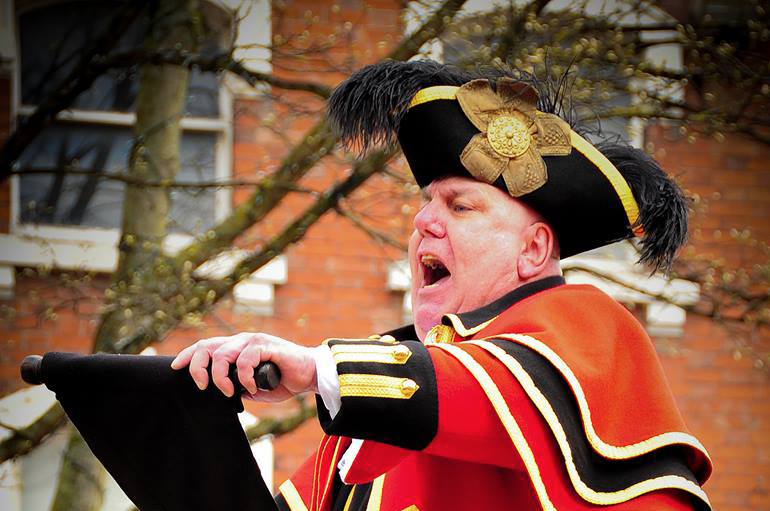 David Hinde, who is the current holder of the World Record for the Loudest Recorded Town Cry, commenced his duties as town crier for Helmsley in September 2016, when it was formally recognised by The Ancient & Honourable Guild Of Town Criers. Last year, David, 60, famously led The Grand St Georges Day Parade as ‘Walmington On Sea Town Crier’ in the Dads Army Movie, which was filmed on Bridlington Old Town’s High Street. He featured in the opening seconds of the movie’s international trailer and TV campaigns, seen across the world. 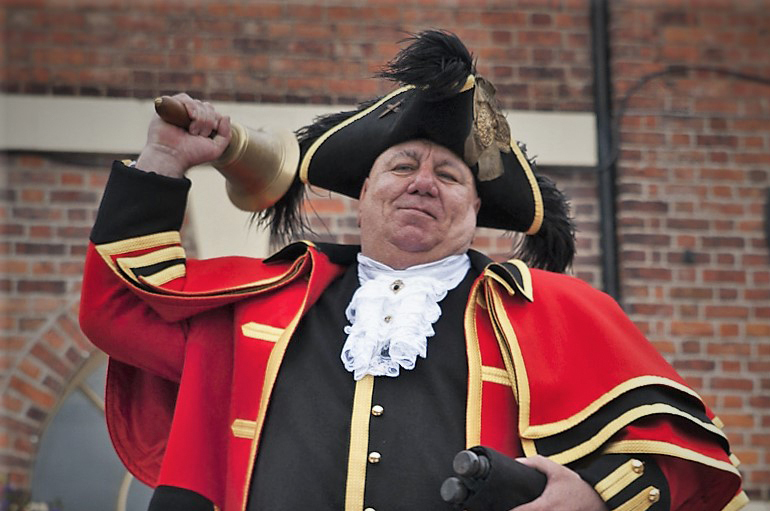 Dressed in his specially made red regalia and Tricorne, with 4-ply black ostrich feathers, which combined cost more than £3000, David undertakes town crier duties at Helmsley events and represents Helmsley at the Guild’s Town Crier Competitions throughout the Country. So, keep your eyes – and your ears – peeled for David around town. He’s always happy to stop for a chat!